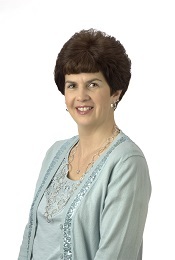 Terri joined Knepp Financial Group in February of 2009. She is the Office Manager in the Muncie location. She was born and raised in Northern Indiana. After graduation from high school, she attended Ball State University in Muncie, Indiana. Earning her B.S. degree from Ball State took her to many various avenues in her career. When not at work, you can find Terri enjoying the outdoors. She loves the warm weather, working in her flower gardens, camping, biking, hiking, spending time with family and friends, and taking photographs.